We leave the port behind us to reach the woody slopes of Mount Geumjeongsan, the location of our first stop on this excursion: the Beomeosa Buddhist temple, built in 678 by Uisang, a monk and an important figure in Korean Buddhism. 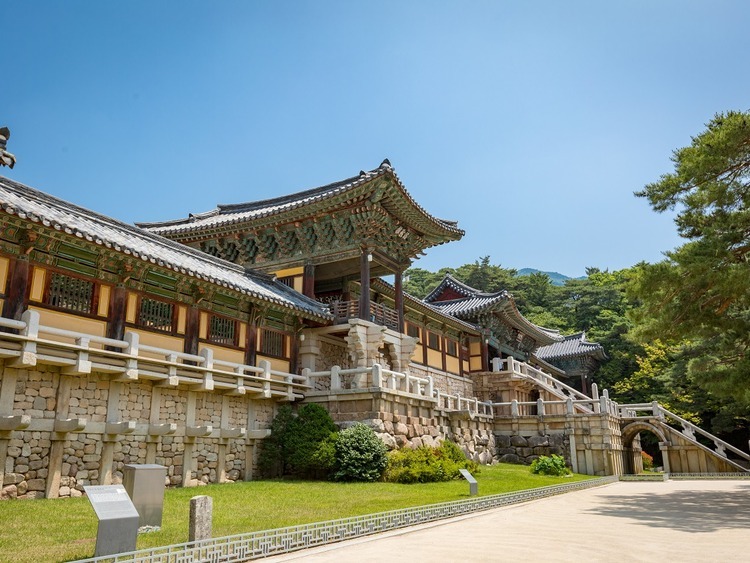 We cross the monumental entrances of the temple, laid out on various levels along a slope, and admire the exquisite combination of Korean and Japanese architecture as far as the main hall, with a magnificent ceiling covered with carved floral motifs. We continue our tour and visit the picturesque Gamcheon Culture Village perched on the hills. Once a slum where Korean War refugees used to live,it was handed over to artists, who revolutionised the maze of alleyways and courtyards transforming them into colourful houses, vegetable plots and awnings creating many enchanting corners. When we start feeling peckish, we can enjoy a delicious barbecue lunch featuring Korean-style dishes. In the afternoon, we explore the Jagalchi fish market, the largest in South Korea where the majority of traders are women. We walk among the colourful stalls with their strong smells and simple wooden crates placed on the ground selling mackerel, octopus and whale steaks. We then move on to Gukje market, the largest traditional market in Busan. In the 1950s it was given over to the refugees, who could open up shops to make a living but has since developed into a popular colourful market where we can find practically everything at a reasonable price. Comfortable shoes with a low heal and clothing that is appropriate for the places of worship to be visited is recommended. We recommend buying Korean currency beforehand. ?